A file with an .amr extension is an audio file saved in compressed audio format. AMR is a format that are mostly used by a lot of 3G cell phones for voice recordings. It’s natively supported by a lot of smartphones like phones running Android OS. iOS used to support AMR but it’s changed since iOS 4. MP4 is one of the most common multimedia container format to store video and audio data. And it’s natively supported by a lot of different platforms including Windows, Mac OS, Android, iOS, etc. If you want to convert AMR to MP4, you are going to need a video converter that can handle both formats. In this post I will show you how to convert AMR to MP4 with two different kinds of AMR to MP4 converters. It’s easy to find a video converter on the Internet but it’s hard to pick one from them because there are just so many of them. To save you from this kind of trouble, I would recommend that you use Leawo Video Converter. It’s a famous video converter that’s been out there for many years, and over these years it’s been receiving positive review from users. It can easily convert all kinds of video and audio files between many different formats. By using it you would be able to easily convert AMR to MP4. ☉ It can convert videos and audio files between 180+ formats. 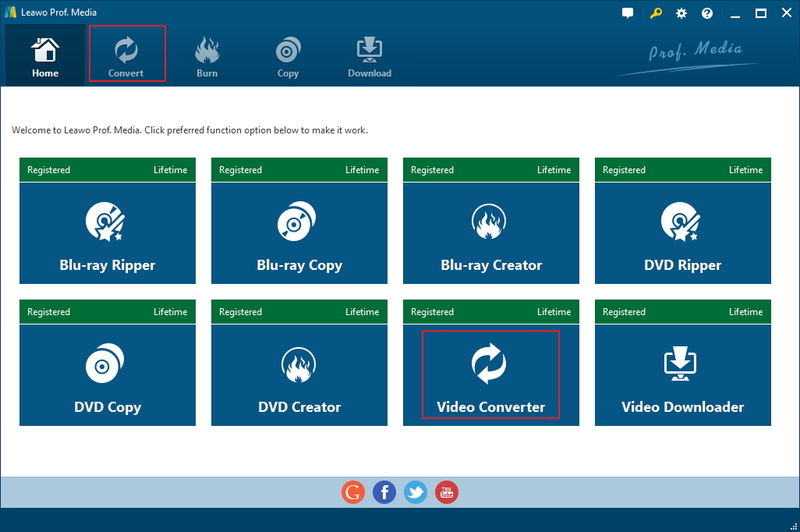 Here’s how to use Leawo Video Converter as an AMR to MP4 converter to convert AMR to MP4. 1. Leawo Video Coverter is integrated into a software bundle called Prof.Media. 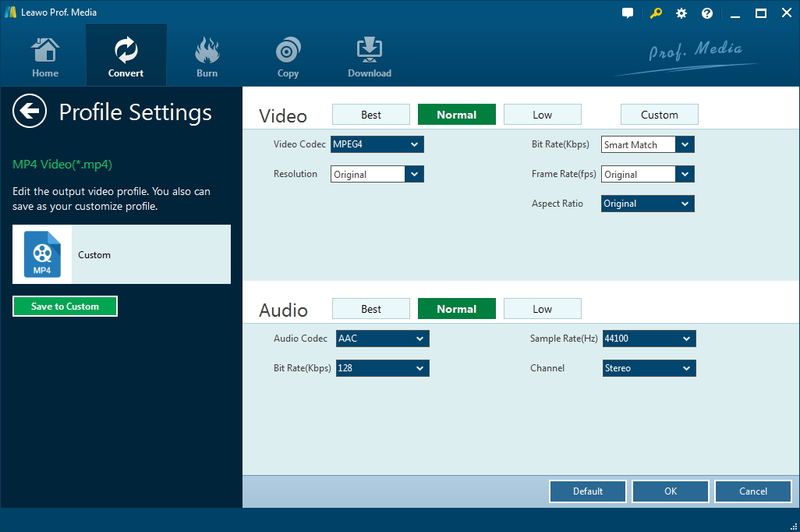 Just open the program and click Video Converter on the interface to launch Leawo Video Converter. 2. To import your AMR files to the program, you can either drag and drop the source AMR files to the interface or click the Add Videos button and select them from the Open File dialog box. 3. To set MP4 as the default output format, click on the button that lies in the left side of the green Convert button. On this button is the default output format. Let’s call this the Format button. Click on the Format button and a menu would pop up below the button. Click on the Change button on the menu to go to the format setting page. Find MP4 from the format list and then click OK to go back to the file list. 4. If you want to make adjustments to the parameters of the MP4 format, just click on the Format button again and click that Edit button on the menu to open the Profile Settings page where you can change the video and audio parameters of the output format. The parameters that you can adjust including video parameters like video codec, Bit Rate, Resolution, Frame Rate, Aspect Ratio and audio parameters like Audio Codec, Sample Rate, Bit Rate and Channel. When you are done tweaking those parameters, click OK to go back to the file list. 5. To start the AMR to MP4 conversion, click the aforementioned green Convert button and a sidebar would show up from the right side of the file list. Under the Save to tag is the default output directory. If you want to change it, just click on the “…” button next to the Save to box. To start the AMR to MP4 conversion, just click on the Convert button at the bottom. Leawo Video Converter is one of the best choices for you to convert your AMR files to all kinds of formats. Other than MP4, you can also convert AMR to MP3 or other video/audio formats as you like. Leawo Video Converter is a great but not the only choice you have to convert AMR to MP4. There are some online video converters on the Internet that we can make use of to convert AMR to MP4. Most of them are free of any charges, and it’s one of their biggest advantages. And you won’t have to install a program on your computer, if that’s something you don’t want. 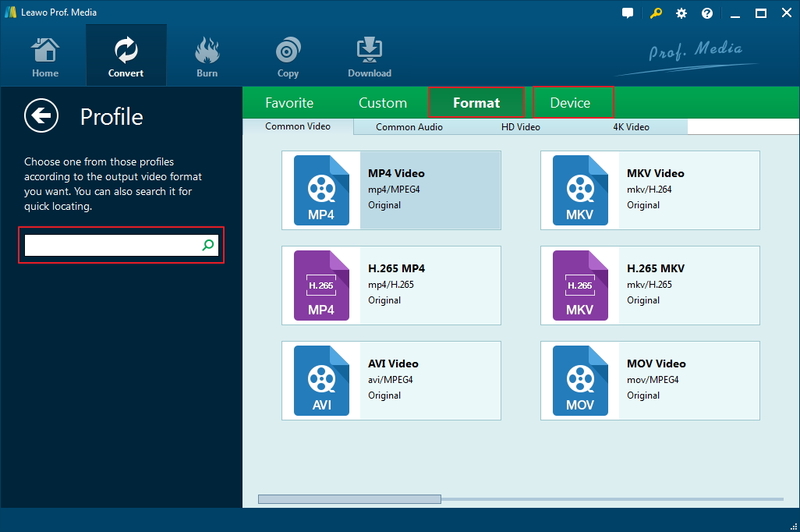 Here’s how to use an AMR to MP4 converter online to convert AMR to MP4 online. The online video converter I’m using is online-convert. 1. Open online-convert’s website with your browser. Find Convert video to MP4 and then click Read More. 2. Click Choose File on the following page to add your AMR audio file to the conversion list. 3. Scroll down and click Convert file to start converting AMR to MP4. Your AMR files will be uploaded to the website and the conversion will start. When the conversion is done, the converted file will start downloading automatically. Above is how you can convert AMR to MP4 with two different kinds of video converters. Most of the time, a video converter program is always the better choice. But if you don’t have much AMR files to convert and don’t want to install a program for that, then you should probably go with the online AMR to MP4 converter.